Nathan Peterman has, um, struggled just a bit in his time as a Buffalo Bills quarterback, most notably in the five-pick first half that followed his inexplicable start against the Chargers last season. 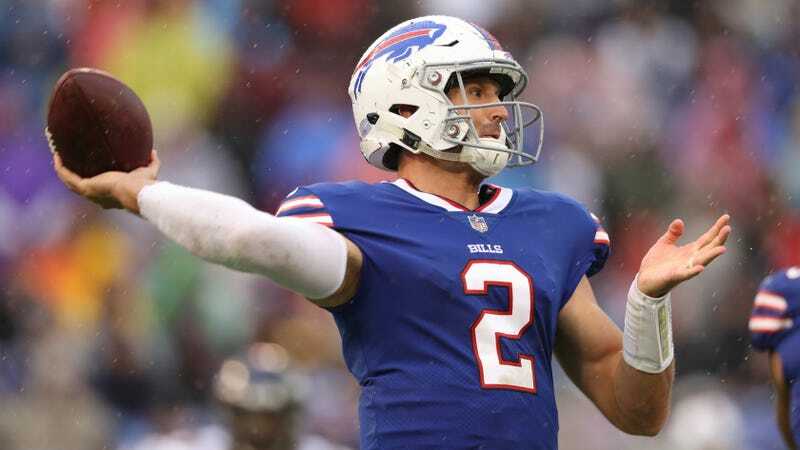 But for some reason, the Bills felt confident enough in a guy who had never thrown for more than 80 yards in a game that they traded away Tyrod Taylor and entered the season with Peterman as their No. 1 QB. 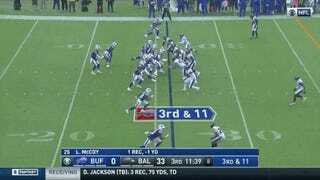 With Buffalo down 40-0 with 11:22 to go in the third, Peterman was mercifully taken off the field for the rookie Josh Allen, who bested the starter by going 6-for-15 on his passes for 74 yards, plus 26 yards rushing. He even managed to engineer a field goal drive! And even if Allen’s 56.0 QB rating isn’t the most inspiring debut ever seen, it is impossible to imagine a logical scenario where the Bills start Nathan Peterman again. Doing so in any conditions that aren’t a complete blizzard against a terrible team has proven to be an unconditional surrender. So yeah, he’ll probably get another shot next week. 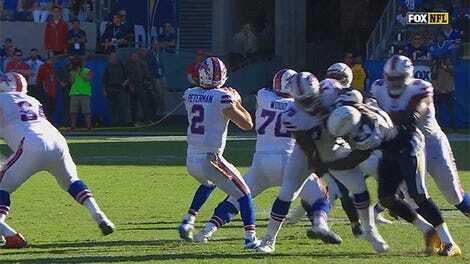 The Nathan Peterman Experiment Continues!